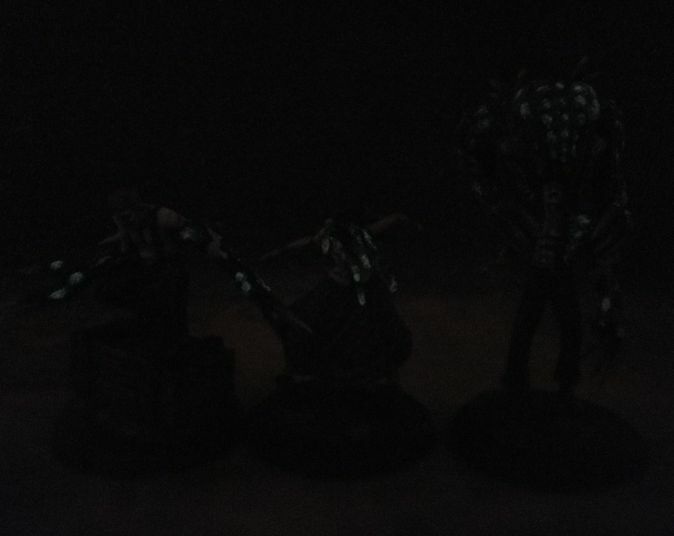 While working on her I also pushed on with painting the rest of the crew and finished Jakob and Hungering Darkness. 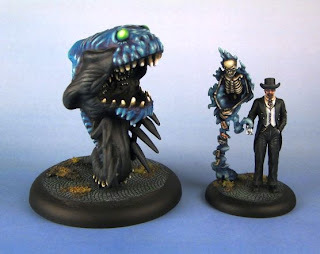 I've written that before but have to repeat here again - I'm not a fan of the HD model. It seems somehow too soft to me and not menacing and evil at all. 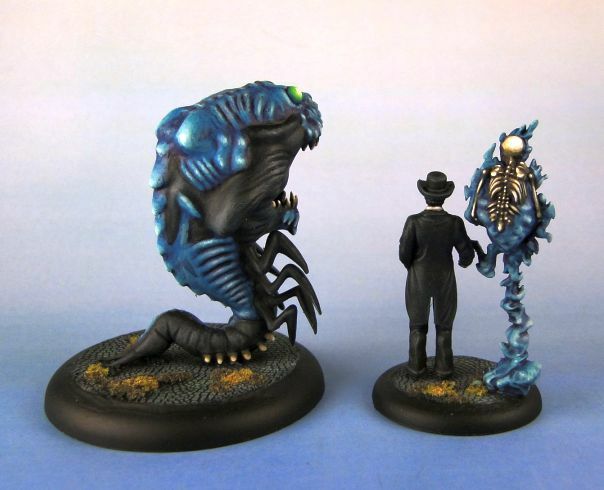 I realize that it's supposed to be an ancient entity that doesn't really have a specific shape but still I would like to see more texture on this model. Perhaps something similar to the manifestation of brilliance coming out of the back of one of the Illuminated. I was considering adding some gore to its mouth but after thinking it over decided not to as I thought I might be overdoing things. Jakob on the other hand was a fun model to paint. The miniature is extremely well sculpted and while the surface of his tailcoat and pants is a tad flat, his butler more than makes up for it. 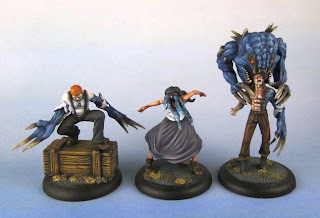 My Malifaux painting backlog is beginning to look better as I've now painted 5 minis this year but... 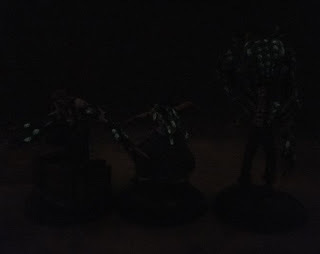 I bought three Illuminated so I'm almost back to square one. Very nice crew! 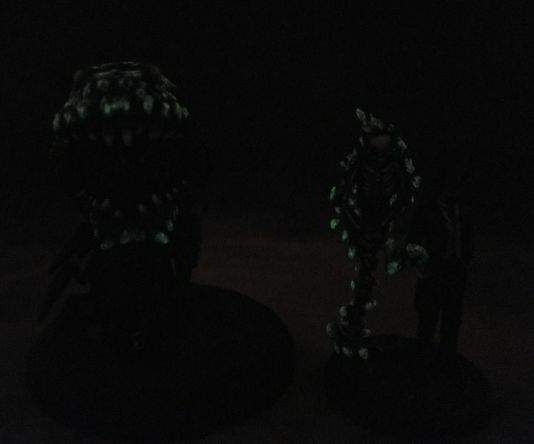 I like the fact they glow in the dark. 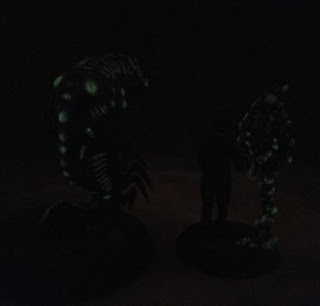 What did you use for the glow-in-the-dark effect? 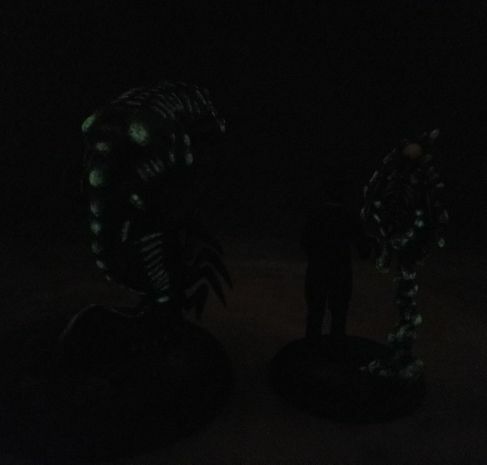 I used Americana Glow in the Dark Paint. It's semi-transparent with a slightly greenish tint which means that once you apply it, it will additionally help in making the highlights a tad smoother. It's easy to apply but you need at least a few layers when you put it on a small surface to make sure it actually glows in the dark, otherwise the effect will be barely visible.